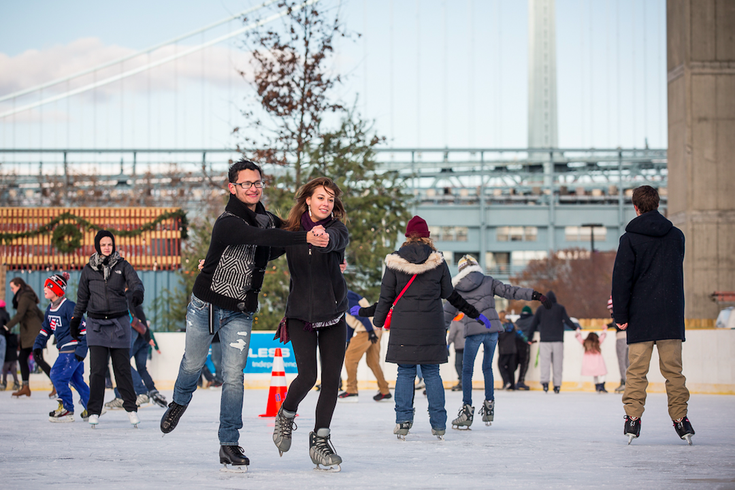 Winterfest opens at the Delaware Waterfront with ice skating and more. On Friday, November 27, the Blue Cross RiverRink Winterfest will commence for the season. Last year the Delaware River Waterfront was transformed into a winter beer garden and lodge to accompany the ice skating rink. This year, it has even more to offer visitors. Opening day is particularly unique since it features a Star Wars theme. Garrison Carida, which is a chapter of a Star Wars costuming organization comprised of and operated by fans, will be at the event from 11 a.m. to 3 p.m. Other activities throughout the day include body painting, an ornament workshop, and a robotics workshop. There will also be various local performers. A balloon artist able to make character creations, a professional juggler, Philadelphia's circus school, and more will make appearances. The event runs from 11 a.m. to midnight. Saturday, November 28 and Sunday, November 29 will also feature special events -- although no Star Wars characters. The most notable change from Friday is an added liquid nitrogen ice cream workshop. Saturday's events will run from 11 a.m. to midnight while Sunday is from noon to 6 p.m.
As for new installments that will last all season, there will now be warming cottages that visitors can rest in between ice skating sessions and a new Franklin Fountain Confectionary Cabin serving waffle ice cream sandwiches, gourmet s'mores kits and all sorts of drinking chocolates.